Residential or commercial, completing a long distance move is a daunting task. There are so many logistics to work out, details, and making sure you have the right moving crew and everything accounted for takes a lot of time and energy, not to mention money. Awkward or heavy items, such as appliances, furniture or pianos. Efficient boxing or crating of items. Having the exact address of the destination and knowing how to get there. Determining the right equipment to use for the move. How many people do you need to conduct the move efficiently? Do you have enough packing material (boxes, tape, markers, labels)? Do you need to store some items? Do you have a storage facility in mind near your destination? How will you move your vehicle(s)? When you’re faced with a challenge, seek the support you need, from expert advice to professional moving company services. Experienced Wichita long distance movers can be the best solution to the logistical challenges that come from a long-distance move. After all, who better than the experienced professionals may know the process, anticipate the obstacles and know how to handle or even avoid potential bumps in the road? There are a lot of questions to be answered and a lot of details to be worked out when it comes to executing a long-distance move. And often, while you may have very well-meaning friends, family and neighbors nearby who are more than happy to help you with the move, you can’t always rely on them to provide sound advice and guidance in setting up all the details. Long-distance moving is as much a mental exercise as it is a physical one. Professional Wichita interstate moving companies like Heartland Moving & Storage have the experience to consider all contingencies and handle all details, and can create an efficient interstate move for you according to your schedule, budget and overall needs – a good moving company won’t charge you for workers you don’t need or equipment you won’t use. Efficiency is the name of the game in long-distance moving, and a quality company will customize the move to fit what you need, and will address whatever challenges may be in front of you – whether you know the challenges ahead of time or you don’t. 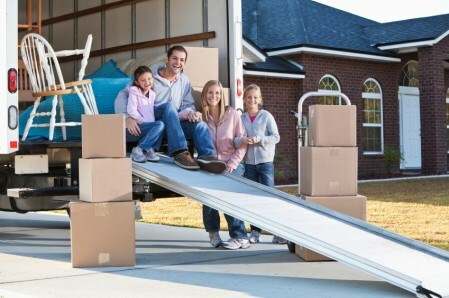 You can’t go wrong with trusting a reliable long-distance moving company in Wichita to help you execute your move. And in this area, there is no better expert at this type of moving service than Heartland Moving & Storage, an Allied Van Lines interstate agent. Working with Allied, Heartland has the resources available to take care of your long-distance move, and we do it better than anyone else, because we’ve been doing long-distance moves longer than everyone else. Trust experience and contact us today for a free in-home estimate and conduct your next long-distance move with confidence by using the resources and expertise of Heartland Moving & Storage today!